The word Tarragon is derived from the French word which means "little dragon." 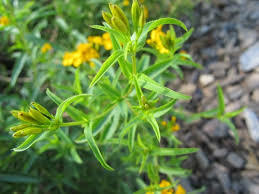 There are two beliefs about how this nickname came about; one is because back in early times it was thought that Tarragon had the ability to cure venomous snake bites. Other thought it got this name because of the distinct roots that the Tarragon plant has that quite clearly resemble that of a serpent.